All students are required to select courses for both semesters at the beginning of the academic year. To register online or for further registration details, please visit http://sas.uwimona.edu.jm:9010. A UWI education is one of the best investments you can make. What each student pays may differ as some states subsidise fees. 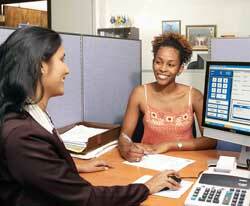 For information regarding tuition and other fees, please visit http://www.mona.uwi.edu/admissions/fees/ . At Mona, University fees can be paid in a number of ways including online at https://eservices.mona.uwi.edu/finserv/tuition/ using the UWI, Mona E-Commerce facility. Ideally, all payments should be made before the fee deadlines to avoid congestion and consequent delays at payment locations. b) Ensure that tuition fees are paid over to the University. Scholarship holders should submit the letter of award to Admissions Section. Except for personal cheques, most forms of payment (including credit cards) are accepted. Pay attention to fee deadlines and consult your Undergraduate Student Handbook for details.